On the surface, you wouldn’t think the Archduke of Austria-Este in the early 1900s and a pop/rock band in the 2000s have a ton in common. But when you dig into the history of the man and the history of the band, you understand with certainty the two have absolutely nothing in common – except a name. Alex Kapranos and Paul Thomson met at a party in the mid 90s and played together in a band. This Scotland-based group would not achieve much success and the two would begin to look around for other talented musicians. In 2001, they met a guitarist fresh off the plane back to Scotland from studying music in Germany and he joined the band. After attending a horse race in Great Britain, the guys were inspired by one of the horses named Archduke Ferdinand. The horse was named after a real person, the Archduke Franz Ferdinand, and the group decided that would be a great band name because of the alliteration and the implications of the Archduke’s death (leading to World War I). 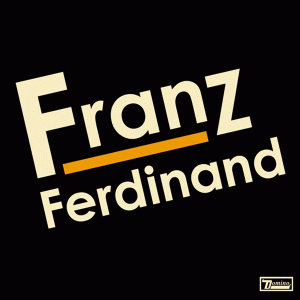 Their goal was to become so popular, when the name Franz Ferdinand was spoken, the masses would think of the band and not the historical figure. While the band was officially signed to Domino Records in 2003, their first studio album wasn’t released until 2004. The eponymous album was recorded in Sweden and has sold nearly 4 million copies. Thanks to the pre-release and popularity of the single, “Take Me Out” the album was an instant success. Franz Ferdinand received universal critical acclaim right away, with reviews saying how it was a great rock ‘n’roll album during a time when pop and punk music was mostly in the mainstream. It was noted as being a genuinely “cool” album instead of so many other acts of the time who were simply trying to be cool. Critics sometimes get it wrong and in this case, I think it’s half and half. No doubt this album is fun and a very good listen. I’m just not sure the sound is all that unique for the early 2000s; you maybe just had to dig around a bit to find bands doing similar things. It sounds almost identical to a Strokes album, which is certainly not a bad thing. But since Franz has been nominated for multiple Grammy Awards, it seems they get most of the attention for doing it the best. What I love about this album, is it feels so cheap – by that I mean, it conveys a sound like a couple guys in a garage whaling on the guitar and drums, while the lead belts out great vocals. But when you really sit back and listen, the production is outstanding, and it molds into a really solid record. I’m not sure about becoming bigger than the original Archduke – but I know this is a fun album to put on today. For only $5 bucks, you can listen to it while reading about the namesake on Wikipedia. That’s good music and a history lesson in one. You’re welcome. Austin works as a cost analyst for TDS Telecom in the Government and Regulatory Affairs team. He has a marketing degree from UW-Whitewater and has worked in various departments including marketing, sales and network services since joining TDS in 2004. He is a huge sports fan – if he’s not at work, odds are you can find him at Miller Park, Lambeau Field, Camp Randall or the Kohl Center watching the game. In his spare time, he’s chairman of a local non-profit, avid music fan, rec sports MVP and an early adopter when it comes to most new technologies. Love that whole album and will have to go back and listen to it.